Many a soiree starts in the living room before guests are ushered towards a dining area and therefore a great deal of time is spent there. 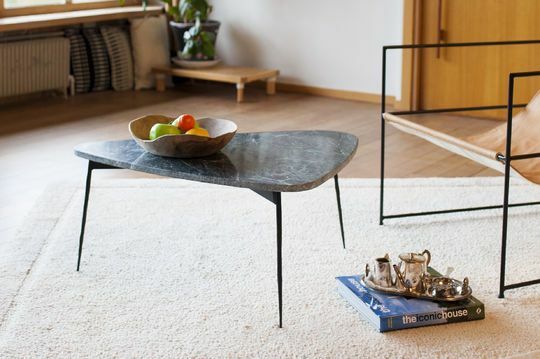 Choose a Scandinavian coffee table to accentuate an elegant and uncluttered interior. 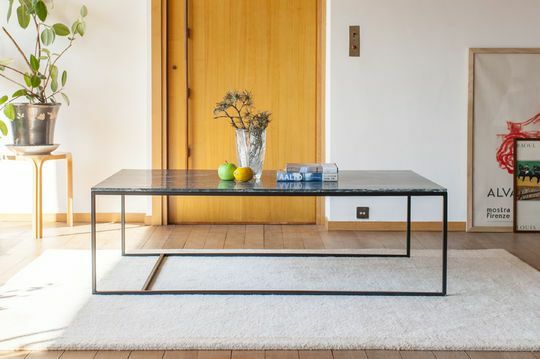 For their part, the Scandinavian style prefers simple and refined tables: opting for materials like teak or marble, for a more sophisticated yet delicate atmosphere. 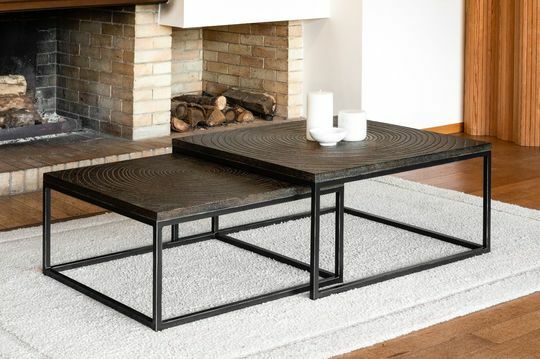 The industrial coffee table, which combines wood and metal, is an excellent complement to the club chair, a renowned English type of seat, and a vintage leather sofa. They allow you to recreate a workshop look or a marvellous English pub atmosphere. 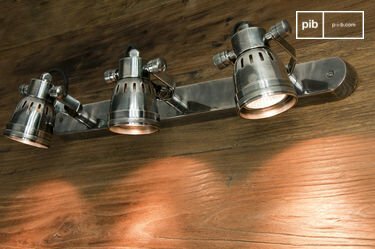 By choosing suitable lighting, such as one of our vintage floor lamps, you can further strengthen your style. If you prefer a more bohemian and romantic living room, the shabby chic coffee table offers a more rustic look, one that will bring an authentic touch to your vintage retro living room. 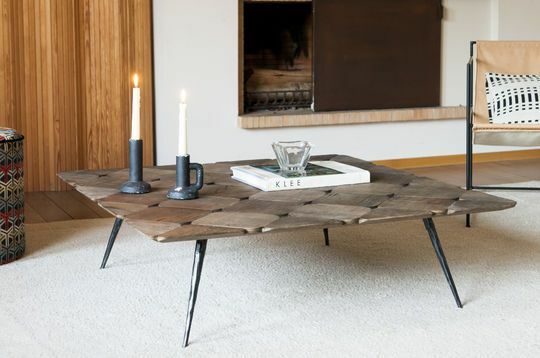 Made from solid noble wood, our coffee tables are stable and resistant to long term wear and tear. 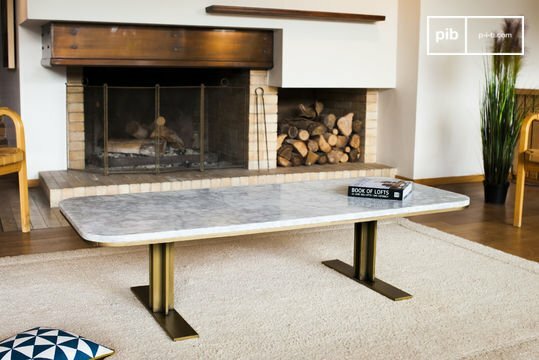 Their light patina and neat finishes further reinforce the style of the retro coffee table that will become one of the pillars of your interior decoration. To rest after a long day of work, the retro sofa is our favourite item in the living room. 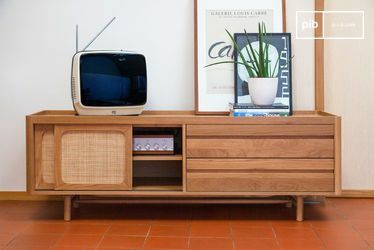 To warmly welcome friends or spend an afternoon in front of your TV unit on the retro tv stand, you're sure to pass a long time on your vintage chairs. 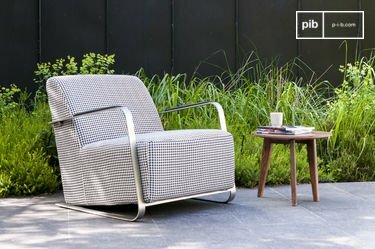 We have selected models that combine both style and comfort, choosing sturdy materials and generous padding in dense foam for its seats. 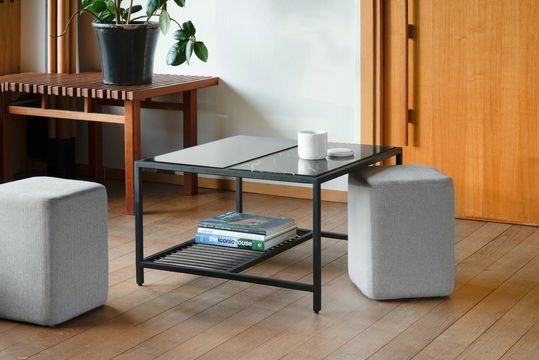 Enjoy the practicality nesting coffee table for a great space saving alternative, especially when entertaining guests. 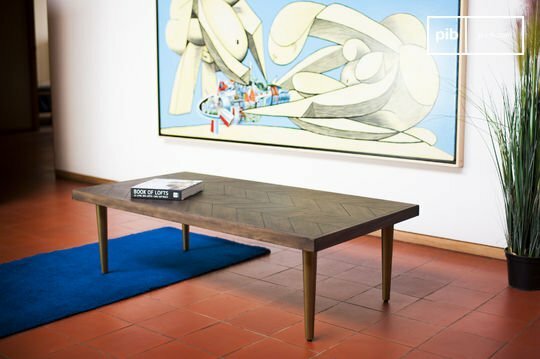 From a square coffee table with marble top in a Nordic style interior coffee house to a round coffee table completely made from solid wood in a French style interior design, the retro coffee table from pib can come in many shapes and materials. This allows you to create very different atmospheres by varying the shapes and colours. 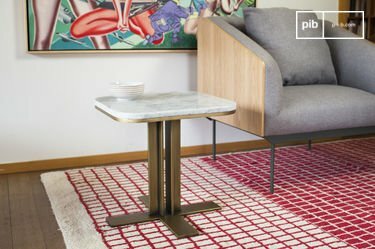 To obtain a harmonious look, you will have to match your retro coffee table with the rest of the surrounding decoration: the sofa, armchair and even a side table retro style.